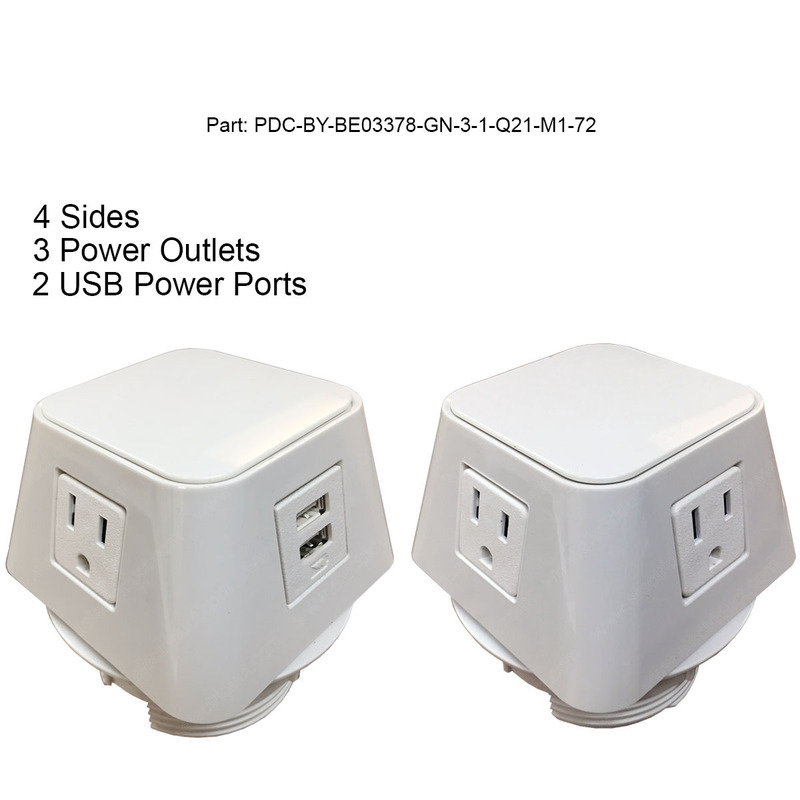 The Cube Power Center with 3 Power and 2 USB Power Ports. 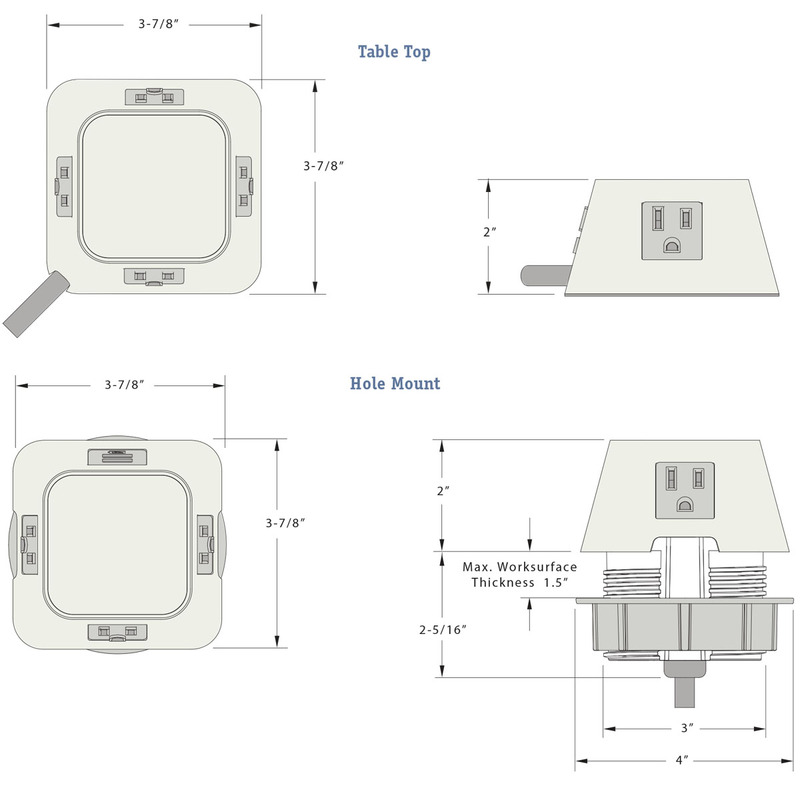 Bringing contemporary style and power to your desktop, the Cube Power Center features 3 power outlets and 1 duplex USB ports (2 outlets) for charging multiple USB-friendly devices such as tablets, phones, mp3 players and more. 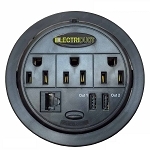 The clean, high-gloss plastic finish will be a center piece in its self, fit this power center in any 3" hole, secure the locking ring, and you can have power right on top of any tabletop. 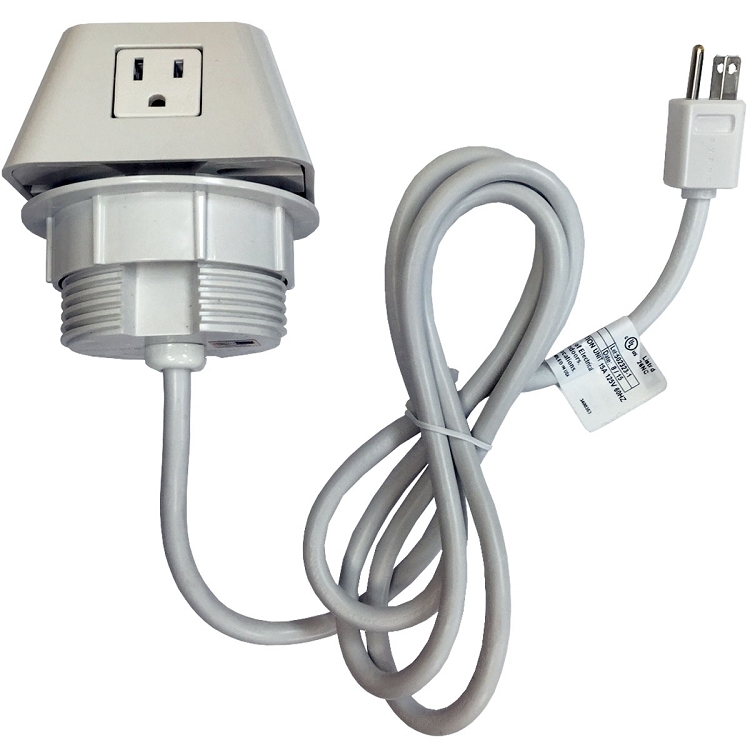 This removable top surface USB power center has a 6FT(15A) Power Cord to keep you connected around most rooms. 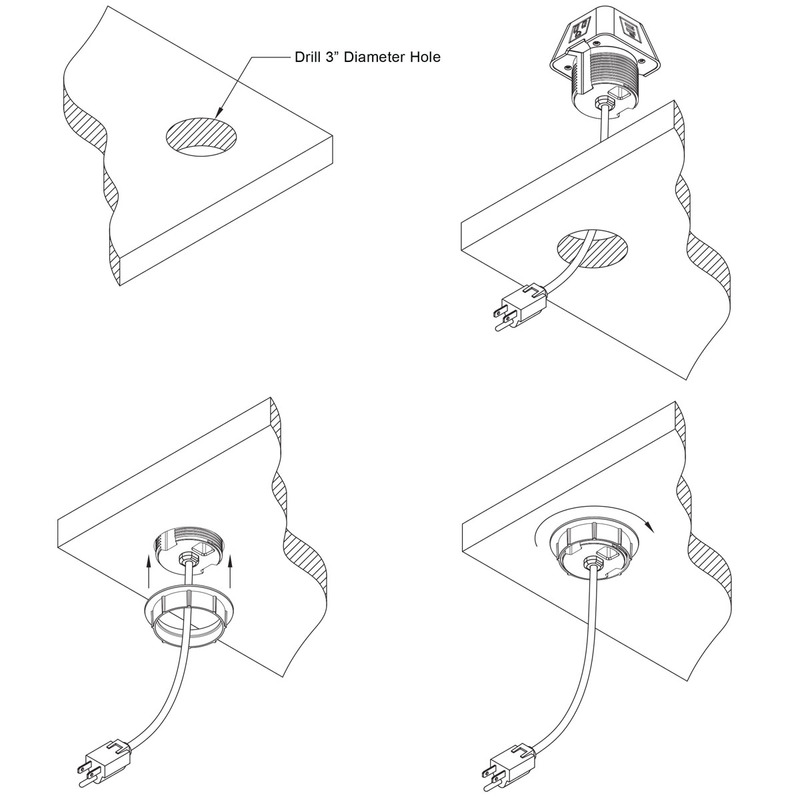 Click the "More Information" tab for product dimensions and installation instructions.